Coming off seasons of being ever so close to that elusive championship in Adelaide, having won the regular season championship in 2017 and then pushed Melbourne United to five games in the Grand Final of 2018, there were high hopes for the 36ers in the 2018-19 season. Replacing Mitch Creek, Josh Childress and Shannon Shorter was always going to be a challenge given how crucial all three were to their Grand Final run last season, and so far it hasn’t happened how Wright hoped. Creek’s role has virtually been filled by Anthony Drmic with new import Jacob Wiley taking Childress’ spot and then Nathan Sobey has stepped into that starting point guard role in place of Shorter, and he had De Leon coming off the bench to support him. Wright had previously coached De Leon at the Gold Coast Blaze and the pair developed a lifelong bond, so they were excited to team up in the NBL again. And De Leon had a big game with 21 points and six assists in a win over the Sydney Kings. But outside of that he averaged just 5.3 points and 2.0 assists so with the 36ers suffering a losing streak, something had to give and as is often the case in the life of professional basketball, it was the import who was told to leave. To De Leon’s everlasting credit, he still played in last Saturday’s loss to Sydney despite knowing he had been cut and he even started the game and had 11 points, six assists and five rebounds. But for Adelaide it was a fourth successive loss as they slipped to a 3-6 record and with things getting desperate, they announced they had secured the services of Conger, who starred with the Illawarra Hawks last season. Conger was tremendous for the Hawks averaging 19.7 points, 5.7 rebounds and 2.7 assists a game as one of the best all-round, and toughest to guard players in the league. It’s only fitting his Adelaide debut will take place this Saturday against Illawarra, but for Wright, he needs to see more from his remaining players led by Sobey, Daniel Johnson, Drmic, Wiley, Ramone Moore and Majok Deng. “It’s about trust. They need to get out there and trust each other on the court defensively and right now I think they are playing it safe. We play the passing lanes, we bump cutters and right now we’re not doing those things,” Wright said. 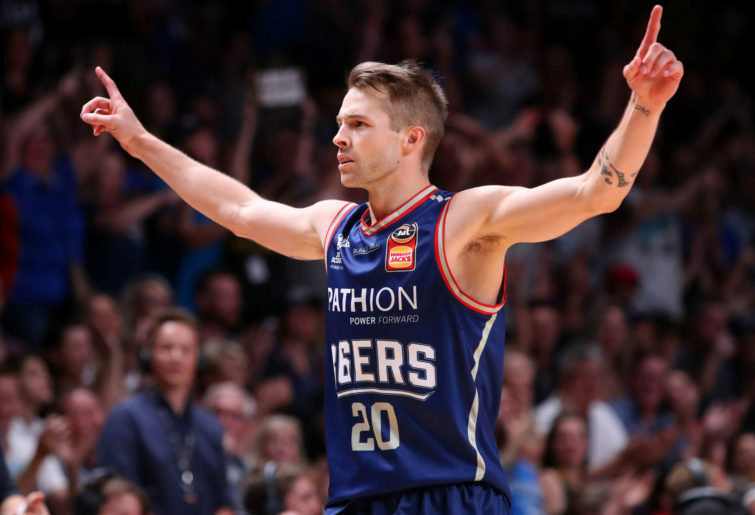 Conger’s signing does leave the 36ers light in the point guard spot with extra pressure now falling on Sobey to carry that load, but what it potentially does is make them virtually unstoppable at the offensive end if things click. Wright loves his team playing fast and an up-tempo style which suit Conger to a tee. Having to try to stop a team consisting of Sobey, Moore, Conger, Wiley and Johnson in the open floor should strike fear into any opposition defence. Conger arrived in Adelaide ahead of Saturday’s clash with Illawarra after things didn’t work out for him in France with Le Mans Sarthe, but Wright didn’t put too much pressure on him for his debut. “It helps us a lot, he’s a very versatile defender and can defend multiple positions, and obviously he can attack on offence. But the reality is that we have to make sure the other guys bring it. We have to win with what we had here before, one person’s not going to matter,” Wright said. “Leagues are for certain types of people and I think this league suits his style of play. Him playing in France where the league’s a little bit slower and they have five Americans on some teams, it really takes away from some guys. Conger is glad to be back in Australia and wasn’t lacking motivation against the Hawks on Saturday, recording 8 points, 5 rebounds and 2 assists in the win as he tries to turn himself into a leader with the Sixers the rest of the way in the 2018-19 season. “I’m excited and just ready to get out there. I feel like I can play a whole game but there’s only one way of finding out and that’s to get out there. I feel good though,” Conger said. “It plays a factor playing your old team but at the same time you still have to go out there and perform. I guess it’s a bit more motivation. As for De Leon, Wright hosted a farewell dinner for him this week and has nothing but praise for the way he conducted himself in difficult circumstances. “You have those guys that come along in your life who you want to be involved with and want to be involved with for the rest of your life,” Wright said.